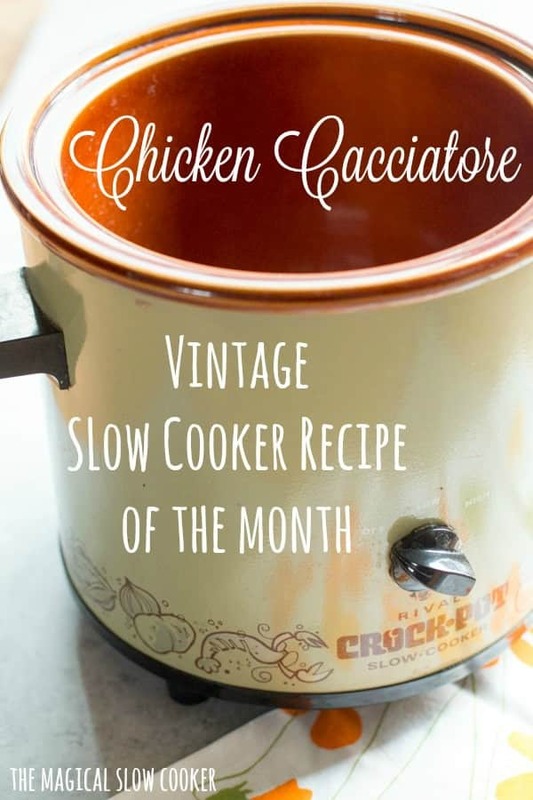 Vintage recipe for chicken cacciatore made in the slow cooker! Serve this on a bed of rice! Hello! 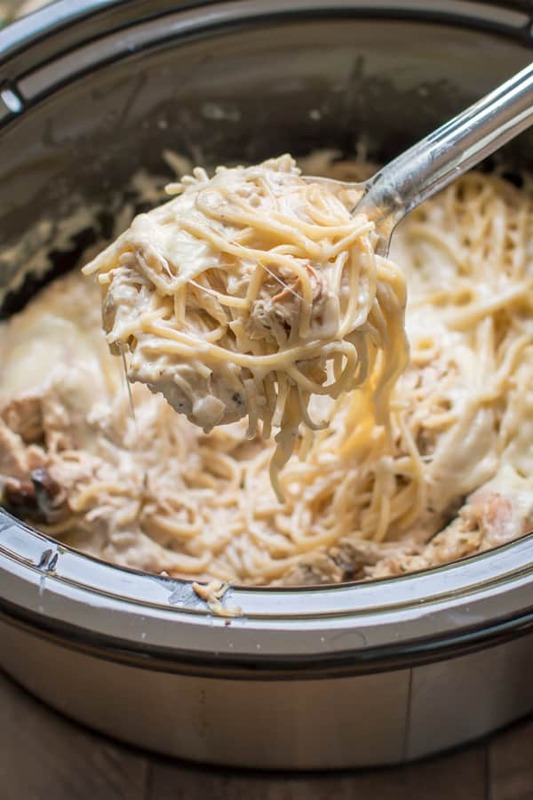 I have the vintage slow cooker recipe of the month here today. 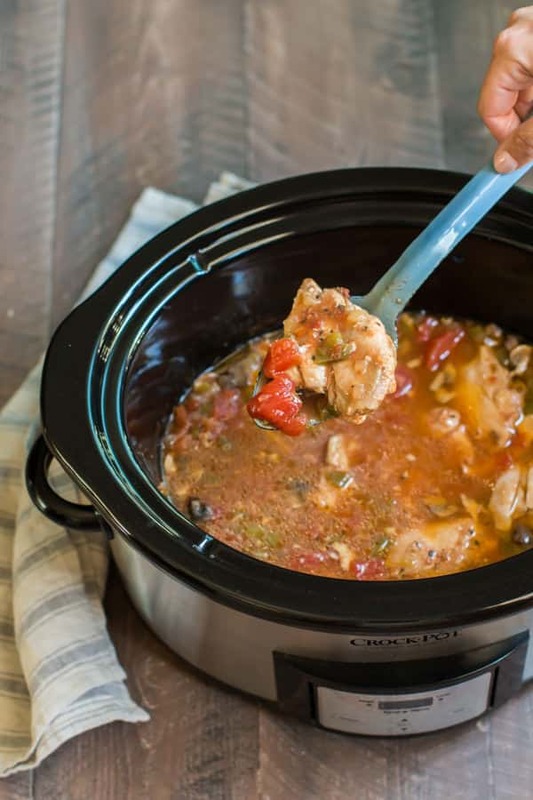 This chicken cacciatore recipe is something my mom made often growing up. She did not own a slow cooker though, I converted this recipe to fit my style of cooking in the slow cooker. Below you will see the original recipe my mom owned. 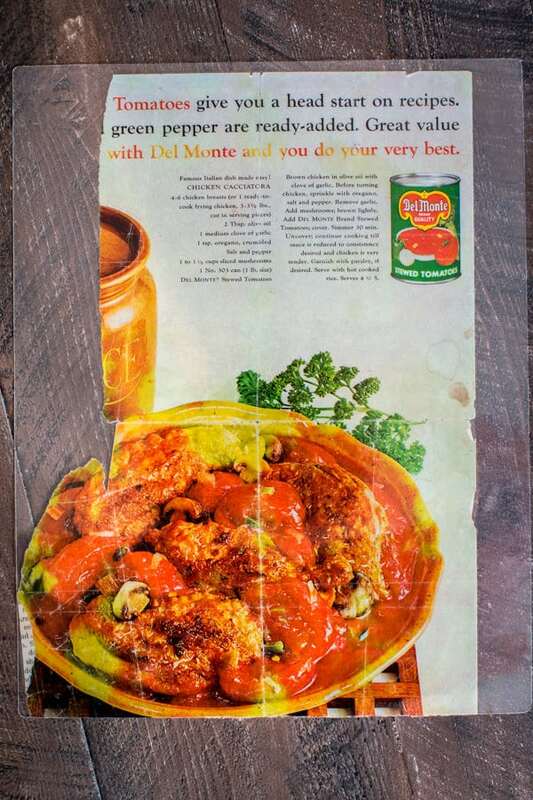 Years ago she had her tattered magazine ad recipe laminated, and she gave it to me. I am glad to have it so I can recreate the recipe she made for my family growing up. I made a few small changes to the recipe. I love boneless skinless chicken thighs, they don’t need browning and they don’t make sauces greasy like skin-on chicken does. I also added bell pepper, I remember my mom always had that in her sauce. Below is what the dish looks like after being cooked on high for 4 hours. Though I do think 8 hours on low will do fine as well. I only serve this over rice, the sauce is too thin for pasta. The rice soaks up the sauce nicely. Below is my YouTube video on how to make this dish. You can follow me on YouTube here. 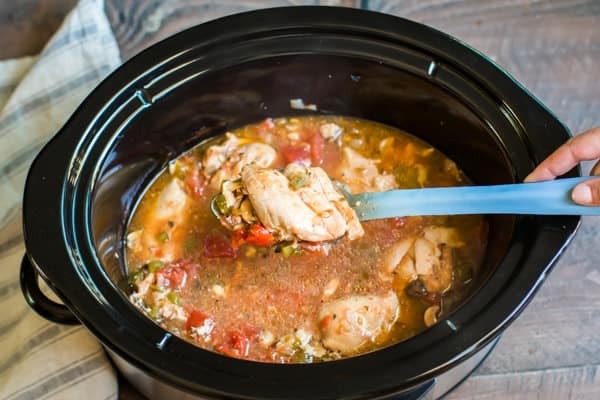 Add the stewed tomatoes, chicken, broth, garlic, salt, pepper, oregano, onion, mushrooms, and bell pepper to the slow cooker. Stir. Nestle in the chicken thighs into the sauce. Cover and cook on HIGH for 4 hours, or on LOW for 8. Try not to open the lid during the cooking time. Can I use boneless chicken breasts in this recipe, or a combination of both? Same question as above-how do you think boneless chicken breasts would work? I think they would be fine! 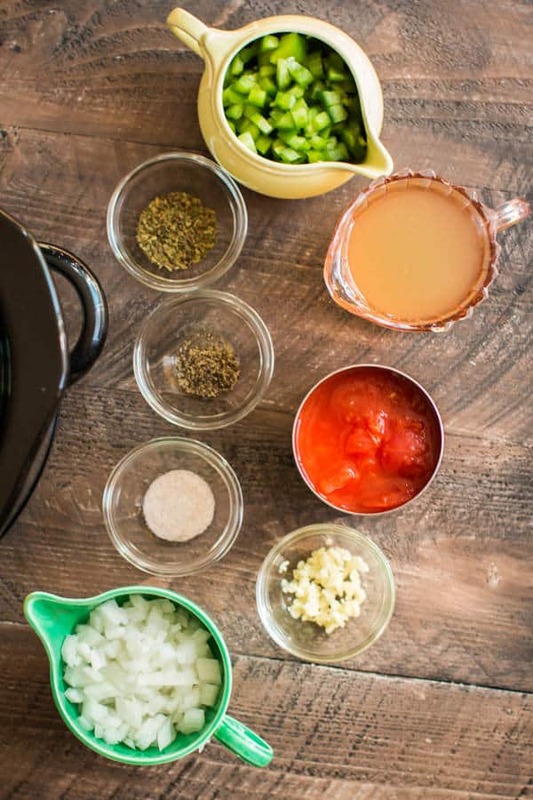 I would love to see the nutritional content of this recipe, and all of your recipes, listed as part of the recipe. Mega ditto on the nutritional content. I do periodic meals for my brother & sil & he is on a low sodium regime, due to heart problems. Just found your website, but so far have copied several recipes. It would be very helpful to see nutrition info. Hi Pam! I add the nutritional info to my new recipes. It takes about a half hour per recipe, I have not had time to update the old recipes yet (I have about 400 recipes). Sorry for the inconvenience!